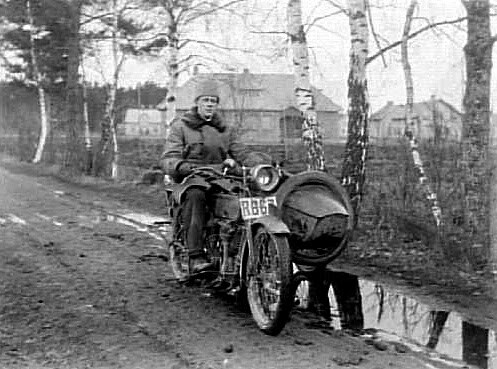 Yet another early Harley IOE with sidecar. 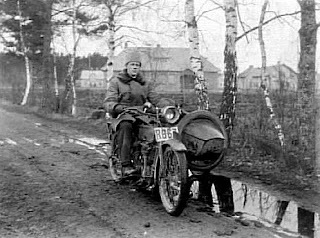 Both this and the previous posted machine are Swedish as seen by the fact the sidecar is mounted on the left hand side. This bike have acetylene lights. Spare tire on sidecar front.